China’s Industrial pollution: Is it just to label them environmental deviants? The Thames Tunnel – a practical environmental solution or an unjust golden legacy? London is internationally recognised as a Global City, renowned for its economic power and political influence. However, after a short boat ride down the river Thames, the sophisticated prowess of the city is often all but lost. You may in fact be excused from believing you have been transported to Victorian England as the potent stench of raw sewerage spills into your nostrils and discarded toilet paper meanders beneath your feet. Surely this foul scene is inappropriate for the 21st Century capital of England? 39million tonnes of raw sewerage overflows into the Thames each year proving detrimental not only to the river’s aesthetics but also to its chemistry. When more than 2mm of rain falls on London, the sewerage system begins to overflow into the Thames through 37 emergency release valves. Originally built by Joseph Bazalgette during the Victorian era, London’s sewerage system was intended to cater for a population of 4millon rather than today’s 7-8 million. Unfortunately, although the city’s population has undergone a drastic transformation, the sewerage system at its heart has remained largely unaltered. 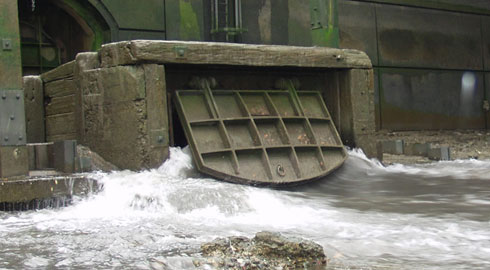 Therefore, although the Thames has the potential to be a successful fish breeding ground, each sewerage overflow incident kills thousands of fish due to toxic pollution and a subsequent depletion of oxygen in the river. 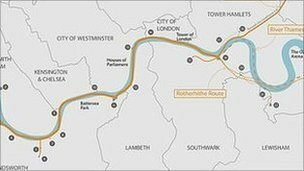 A controversial construction of the 20mile ‘Thames Tunnel ’ to tackle the 34 most polluting overflows creating a “cleaner and healthier river Thames” (Roberts, 2012). With numerous environmental groups backing the scheme we may assume this is the perfect project- surely everyone wants a sparkling Thames? However, the second phase of public consultations which ended last week debated whether the tunnel is worth the £4.1 billion and years of disruption for those living near the proposed construction sites. During BBC Radio 4’s‘Costing the Earth’, Professor Roberts interviews local residents who run the “Save Your Riverside” campaign and claim a 7 year-long construction site outside their homes prevents them from selling their houses, reduces their value and poses a threat to local businesses. This decrease in the local economy is combined with a proposed increase of £70-80 water bills to ironically fund the tunnel construction which has the potential to cause so much upset. These economic issues are coupled with numerous social injustices such as 24 hour incessant noise pollution, some of which falls feet in front of homes. One resident raises concern for the local primary school asking “what will this do to our local children?” (Roberts, 2012) as the site demands 90lorries per day travelling in front of the building. 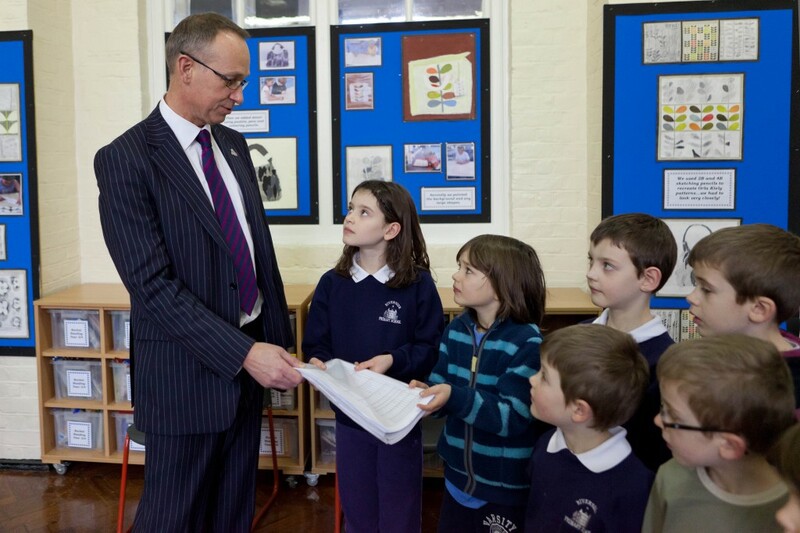 As a result, Riverside Primary School presented a petition against the use of land near their building as a drive site for the Tunnel,receiving 2,000 signatures on the grounds of safety and disruption to learning. But is this 20 mile super sewer the only viable solution? Many believe there are more environmentally friendly and socially just solutions that could be implemented but have been dismissed by the government. Does a 20 mile concrete tunnel not suggest a worryingly 19th Century approach to environmental issues whereby the government’s love for a big and beautiful legacy surpasses the possibility of a more eco-friendly solution? Such a large-scale solution is comparable to the Three Gorges Dam project, China whereby the government masks a human induced environmental issue with a large-scale hard engineering project. Here, the dam is not only an environmental solution, but a legacy in its own right by acting as a continuous symbolism of presidential power and influence regardless of its social impact. If there is one thing all players can agree on, everyone wants a cleaner Thames. However, we must consider whether the proposed vast social and economic costs of the tunnel really worth it. It is imperative therefore to contemplate not only alternative, eco-friendly solutions for the Thames, but also why these possible solutions being ignored. Environmental philosophies are capable of generating major shifts in the relationship we have with the environment (De Silva, 1998). Philosophies are very much part of the interdependent matrix of nature, society and humanity and are vital to our understandings of environmental justice. Too often we rely on science, technology and the economy to gain an insight while overlooking philosophy. As De Silva (1998) notes, constantly seeing the environment how an economist or scientist does means we’re using a ‘lopsided framework to understand the world’. Writing for the Guardian Professional Network this week, Jo Confino highlighted Buddhism’s role in environmental justice. 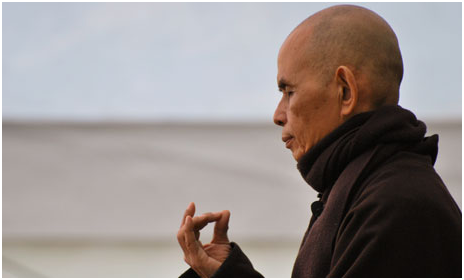 Confino (2012) explored the work of Thich Nhat Hanh (known as Thay), a Zen master who has been practicing meditation and mindfulness for 70 years. Thay believes that spirituality can heighten environmental justice and a spiritual revolution is required to confront challenges we face. We need to move beyond constantly talking about ‘the environment’ as it results in people seeing themselves and Earth as separate entities (Confino, 2012). Most of us are guilty of viewing Earth in terms of what it provides us, which doesn’t facilitate change. The catalyst for a new environmental direction is an ‘insight of inter-being… having a real communication with the Earth’ (Thay, 2008). This non-dualistic approach allows us to view our consciousness as also the consciousness of the planet (Confino, 2012). The current ‘vogue in economics’ to protect our planet by putting a price on it is covering the problem, not resolving it (Confino, 2012). Thay argues that we don’t need economic valuations, we need enlightenment. A fundamental spiritual belief is that change will only occur by falling back in love with the planet, because if we do ‘anything for the benefit of the earth; the earth will do anything for our well being’ (Thay, 2008). We need a collective awakening to the fact that the earth and living species are in danger and with this awakening comes collective action and responsibility. We all take sides in environmental conflicts, appointing victims and their oppressors, we remove ourselves from situations but essentially our demand is the cause of that conflict. By protecting each other and all species, we are protecting ourselves. Selfishness has no place in an environmentally just future. 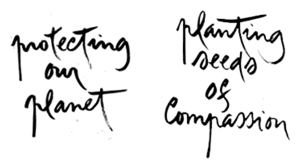 As Confino (2012) notes, we are living under a system which we constructed, but no longer control, whereby we are so focused on our immediate problems we lose sight of everyone and everything else we share this planet with. We shouldn’t tackle this system which facilitates injustice with anger or frustration, instead we should adopt mindfulness. One could argue that Buddhism is naïve but will anything on Earth change if we don’t transform ourselves from within? Is human consciousness our only hope at increasing justice? Environmental justice is the product of compassion and understanding which is currently bypassed due to our self-centredness. Before action, we need understanding. Spirituality, philosophy and ethics are by no means the sole solution but through education they can be incorporated into a holistic approach. This implies that people are arguing over resources- what we can gain from Earth- unaware that this approach results in environmental destruction and eventually the end of civilisation. In becoming a collective we will have environmental justice but are we willing to unite? De Silva, P . (1998). Environmental Philosophy of Buddhism. In:Environmental Philosophy and Ethics in Buddhism. London: Macmillan Press. 29-35. Over the last decade the UK government has become increasingly pro nuclear as it is believed to address climate change mitigation and energy security issues, however much of the general public are opposed to nuclear power. A recent analysis of responses to the DTI’s consultation on its energy white paper, Our Energy Challenge, reveals that waste disposal, cost of electricity generation, actual efficiency in reducing carbon emissions and the extent to which it is sustainable, are key concerns surrounding nuclear power among the 527 respondents (Greenhalgh and Azapagic, 2009). These concerns are currently driving protests at Hinkley Point near Bridgwater in Somerset. Here locals and anti-nuclear activists from all over the UK have been protesting against EDF’s plans to build 2 new nuclear reactors in the area. Protestors claim that nuclear power is not as low carbon as the government lead us to believe (Stop Nuclear Power Network UK, 2012), in fact the nuclear industry is dependent on fossil fuels at each stage of production and in the building of the reactors at Hinkley C an area twice the size of Wembley stadium will be destroyed. Issues of waste disposal are also prominent amongst protestors as radioactive waste within close proximity to humans is known to seriously affect health. Also there is also a danger that radioactive waste will be leaked into the nearby ocean which will have a disastrous impact on marine life. Currently small scale protesting is occurring in the area intended to be cleared to build the power plant. A group of 7 people have been occupying a farm building on the land and another group of protestors have been occupying trees on the site in an effort to save them and the land. These have been attempts to stop EDF prematurely destroying the land before IPC give planning permission. However, detrimental to protestors, EDF claim to have entered an agreement with local authorities allowing them to begin the initial stages of building in the near future (BBC News, 2012). Protests have been taking place at the proposed site for the Hinkley C power station since 2010 when hundreds of protestors gatheredto form a chain around the site, hundreds more gathered in 2011 to do the same thing. This year activists from Green Peace, Stop Nuclear and many other organisations are encouraging more people to come along to take a stand against EDF and the proposed plant. This year’s movement took place in March and is known as ‘Surround Hinkley’. Protestors claimed to be defending democracy, future generations and the entire direction of Britain’s energy policy (Stop New Nuclear, 2012). The movement is concerned with promoting not just environmental justice but justice for the people concerned. The land has the right to remain just as much as the people have the right to be concerned about the destruction of the land and possible side effects of a nuclear power plant. BBC News, 2012. Notice served to campers protesting at Hinkley Point. Available from: http://www.bbc.co.uk/news/uk-england-somerset-17085088 [Accessed 25 February 2012]. Greenhalgh, C. and Azapagic, A., 2009. Review of drivers and barriers for nuclear power in the UK. Environmental Science and Policy, 12 (7), pp. 1054-1067. Stop New Nuclear, 2012. No more Fukushimas- 10-11: Surround Hinkley Point. Available from: http://www.stopnewnuclear.org.uk/node/228 [Accessed 25 February 2012]. Stop Nuclear Power Network UK, 2012. Stop the next generation of nuclear power stations with a blockade at Hinkley Point. 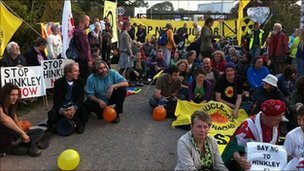 Available from: http://stopnuclearpoweruk.net/content/stop-next-generation-nuclear-power-stations-blockade-hinkley-point-join-us-hinkley-3-october [Accessed 24 February 2012]. BBC News, 2011. Hinkley Point Protest: Blockade at nuclear power station [photograph]. Available from: http://www.bbc.co.uk/news/uk-england-somerset-15146781 [Accessed 26 February 2012]. The Chukchi Sea, Alsaka will soon be stripped of it's natural beauty by oil giant Shell. Isn’t Climate Change affecting the Arctic enough? Evidently not as Oil Company ‘Shell’ are planning to exploit the region even more. Transnational Company Shell is prioritising its economical advantages rather than considering the lives of all people and wildlife within the area. It would seem logical that a country or area rich in resources would have high economic growth. However, they are more vulnerable to exploitation from countries that are poorer in resources (Rajan 2011). Earlier this week oil giant Shell was given the green light by the ‘Bureau of Ocean Energy Management’, to drill oil from the Chukchi Sea, Alaska. This seems highly controversial that the United States has granted rights for the Dutch Company to extract oil from the area. Who gives the USA the privileges for a final decision when Canada, Norway, Russia and Denmark also have land rights to the Arctic? Or should not the Arctic Indigenous cultures be allowed a say on an event that will damage their lives more than any other country? Image of Shells proposed drilling platform. Increasing demand each year for oil has caused companies to move to remote areas of the world to exploit their resources (Rajan 2011). Greenpeace activists stated that drilling into untouched waters and inhabited areas will destroy the planet’s last few places of wilderness. With Indigenous voices unheard in global debates and wildlife/land having no say, environmentalists ‘Greenpeace’ are fighting for their rights. On the 21st February 2012, BBC reported that eight activists climbed to the rooftop of London’s National Gallery. The iconic location was chosen due to a Shell meeting being held at this venue. 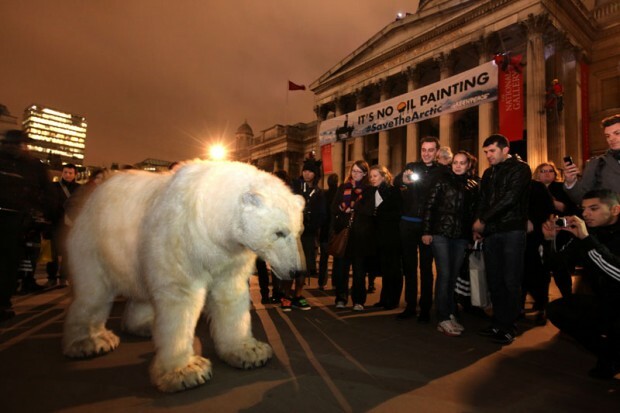 Protestors brought with them a forty metre banner stating ‘It’s no oil painting’ which they hung across the National Gallery and a life size electric polar bear which captured the attention of many passersby. The electric Polar Bear Paula attracted attention from the public. 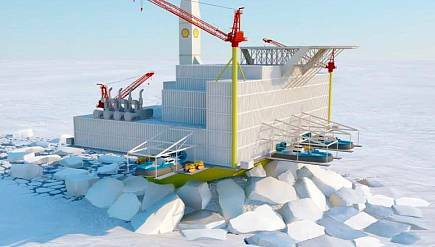 Why should we let a company who is prone to disasters destroy the Arctic? Not only would they damage the environment and wildlife they would slowly kill the Indigenous culture. In 2011, Shell caused major oil spills in the North Sea and close to the Niger Delta. Tony Okonedo a spokesman from Shell stated that the Nigeria oil disaster was the worst oil spill of the decade with over 40,000 barrels of crude oil contaminating the coast of Nigeria. Envisage the pristine waters and white ice sheets covered in black oil and polar bears fur tainted with oil residue due to Shells new project. If an oil spill occurred in the Alaskan region a clean-up programme would almost be impossible. Due to Shells new remote location it lacks equipment and infrastructure to clear up a spill. Deep oceans, dark days and extreme climates would also make emergency responses more difficult. This time consuming response would cause oil to be trapped in ice sheets and travel thousands of miles around the globe; killing ecosystems on its way (Aronson et.al 2011). This episode of Geopolitics can only teach academics that all Indigenous communities deserve a voice and none should be marginalised in any activity in the environment. Greenpeace are still continuing their protests to prevent oil drilling in the Arctic, however, it can be seen that Shell is planning to start work from July 2012. Aronson, R. B., Thatje, S., McClintock, J. B. and Hughes, K. A., 2011, Anthropogenic impacts on marine ecosystems in Antarctica, Annals of the New York Academy of Sciences, 1223: 82–107. Rajan, S.C., 2011, Poor little rich countries: another look at the ‘resource curse’, Environmental Politics, 20(5), 617-632. Okonedo 2011, Nigeria on alert as Shell announces worst oil spill in a decade. Available: http://www.guardian.co.uk/environment/2011/dec/22/nigerian-shell-oil-spill. Last accessed 25th February 2012. Greenpeace Activists, 2012, Greenpeace activists scale National Gallery’s roof. Available: http://www.bbc.co.uk/news/uk-england-london-17119963. Last accessed 25th February 2012. 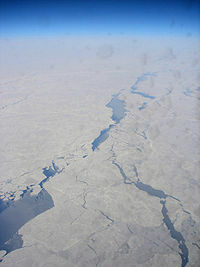 Picture 1- http://en.wikipedia.org/wiki/File:Chukchi_Sea.JPG Last accessed 27th February 2012. Picture 3- http://www.greenpeace.org.uk/blog/climate/tweeting-rooftops-shell-keep-out-arctic-20120221 Last accessed 27th February 2012. 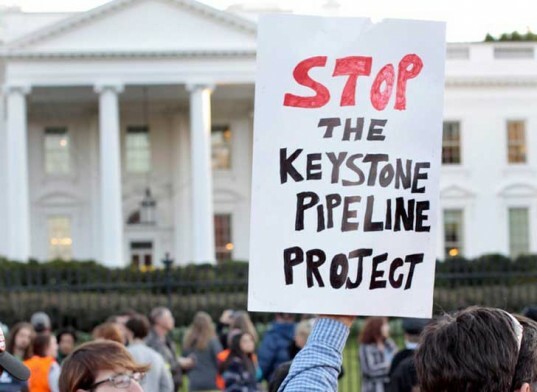 Keystone XL – Justice for Who? On Wednesday 18th January 2012, Barack Obama controversially rejected the permit needed for the go-ahead on Keystone XL, drawing huge praise from environmental groups who had been campaigning for just such an action, and criticisms from TransCanada (an oil company) and the Canadian government. Keystone XL is a proposed 1,661-mile pipeline that would transport crude oil from Alberta’s Oil Sands to refineries in Texas. Those who support the pipeline argue that almost 20,000 new jobs will be generated; furthermore the United States would become energy secure. However environmental groups have accused TransCanada of boosting the numbers of jobs that Keystone XL will generate; they say numbers could be as low as 5,000 which is only a quarter of what the oil company has suggested. 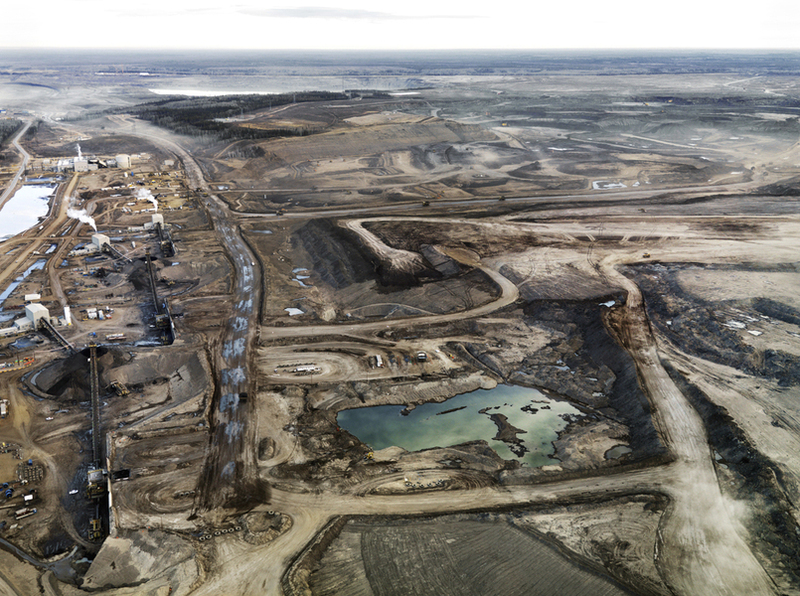 The Oil Sands in themselves are hugely damaging to the environment; they produce huge amounts of toxic waste water and pollution which damage the local surroundings. There have been proven health impacts on local people who had no power to stop oil mining in the area, including increases in several serious diseases such as cancer and lupus. The area has a huge rate of deforestation, second only to the Amazon basin. If Keystone XL is passed then production in the area is likely to increase, causing even more damage to the environment and a rise in greenhouse gas emissions in the area. In terms of justice, Keystone XL certainly looks very bleak. As of 17th October 2011, TransCanada held eminent domain actions against 34 landowners in Texas and 22 in South Dakota, meaning that people will be offered compensation for their land but under law they cannot stop the pipeline from being constructed on their property; compensation does not act as justice for these landowners. 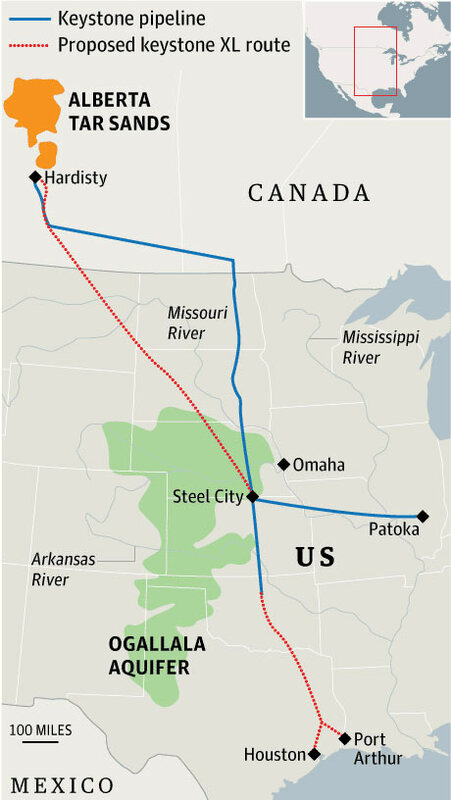 Much of the American Congress has disregarded environmental justice in favour of the economic potential Keystone XL could bring. Many activists have been arrested at demonstrations against Keystone XL, culling their right to freedom of speech, and halting their fight for environmental justice; at a demonstration in front of the White House in August 2011, 143 activists were arrested. The impacts of Keystone will also not be just; the oil is likely to spill, water will become polluted, boreal ecosystems will be at further threat, and there will be an even bigger dependence on oil. TransCanada are still determined to make Keystone XL happen, but the environmental groups will be fighting hard for justice. Bill McKibben, writer, environmentalist and owner of 350.org wrote in an email to supporters that Obama had made a ‘brave decision’. He encouraged people to support the cause to stop oil companies from ‘using the atmosphere as an open sewer into which they dump their carbon for free’, and to fight back against the control they have held for too long. In Spring 2011 NASA environmental scientist James Hansen stated that the pipeline would be ‘game over for the planet’, and McKibben left his message to the environmental supporters on the note that they needed to fight back because ‘the world depends on it’. The big question is whether Obama will maintain his support of the environment, or if justice will be quashed in favour of big oil. At 2.46pm on March 11th 2011 an earthquake measuring 9.0 on the Richter scale struck off the eastern coast of Japan, followed by a tsunami that according to Russia Today reached 23m in height, later estimates claimed the waves reached 15m. 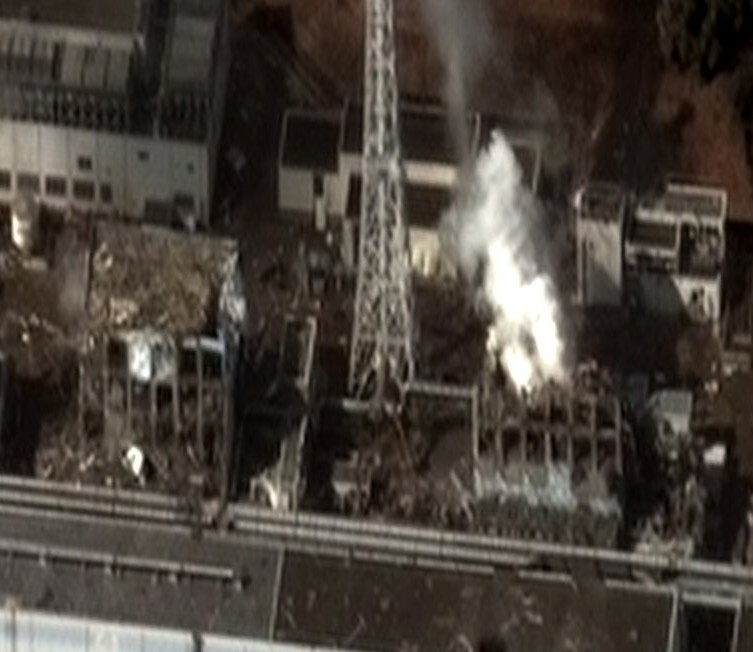 When the earthquake struck four nuclear power plants including Fukushima-Daiichi automatically shut down. Diesel backup generators that were supposed to kick in when power was lost didn’t survive the tsunami leaving the emergency batteries to run the plant, within eight hours these batteries had failed leaving the nuclear plant with no way of cooling itself (Biello. D, 2011) within three days the reactors were in meltdown and explosions began to destroy the reactor buildings (Greenpeace, 2011). By the 12/03/2011 Japan’s Nuclear & Industrial Safety Agency had shut down another 11 nuclear plants for growing fears over safety (Russia Today). Chevron: A Racist Oil Company? The legal fight against Chevron dates back to the 1970s and 80s, when Texaco, now classified as a part of Chevron, discharged billions of gallons of toxic waste into Ecuador, affecting over 1,500 square miles. The company is now being taken to court for $18 billion because of Environmental Racism accusations during its operation in Ecuador from 1964 to 1992 (The Guardian, 2012). The Ecuadorian government invited Texaco in 1964 to explore and produce oil within the region. The country had no experience in the oil industry and thus decided to give Texaco the role of designing the wells, and building the pipelines that would transport oil across the Andes Mountains to the Pacific Coast. The government trusted Texaco, and believed that they would use the same technological standards policies that they use elsewhere. Texaco’s common policy was to dispose of wastewater by replacing it into the ground, where it cannot affect the environment. Unfortunately Texaco did the opposite, and disposed of the production water, by dumping it in unmarked pits adjacent to water wells (Jacques, 2012). The wastewater produced was highly toxic, and oil workers would drain the pits into nearby streams and rivers, enforcing the spread of dangerous chemicals such as Benzene, Toluene, Xylems and Polycyclic Aromatic Hydrocarbons, chemicals of which are associated with possible causes of cancer. 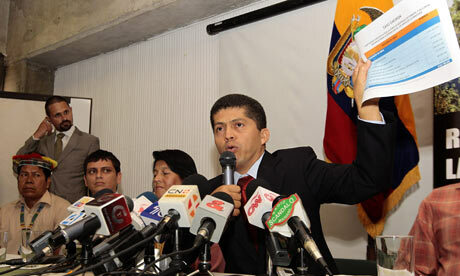 Reports claim that Texaco managed to save $5 billion through carrying out this procedure in Ecuador. 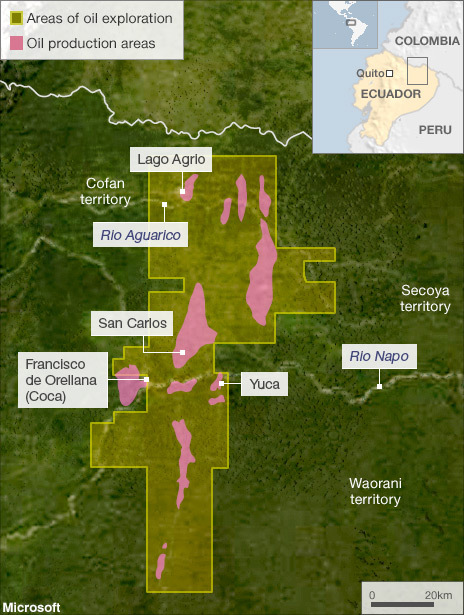 Texaco’s involvement within Ecuador enforced the extinction of three indigenous tribes. The Cofan tribe in particular, had an estimated population of 15,000 people before the oil wells were built on their land in 1971. More recently their population has been reduced to a few hundred. The tribe depends on the rivers for their food, hygiene and transportation yet due to the dumping of toxic waste the rivers have become useless, and they have been forced to migrate. 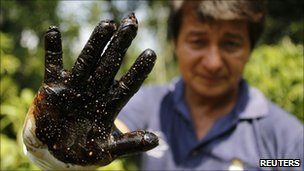 A study performed in 1993 by The Centre for Economic and Social Rights (CESR), noted that the exposure to levels of oil-related contaminants on the residents of the Ecuadorian Amazon substantially exceeded international safety limits. This could thus enhance the diagnosis of skin problems such as dermatomes (Jacques, 2012). Texaco on the other hand state that they saved a lot less than the claimed $5 billion, and that they followed the Ecuadorian environmental laws and international petroleum industry standards. The corporation believes that facts have been twisted and scientific data has been ignored within the lawsuit (Texaco 2012). They claim that Texaco spent $40 million cleaning up everything that it was responsible for in the 1990s before handing over the site back to the state-owned company Petroecuador, yet residents claim that the pollution continues to be widespread. A recent article in the Guardian (2012) states that the lawyers representing Ecuadorian plaintiffs have accused Chevron of racism, due to the different planning policies they uphold outside of Ecuador. They pay particular attention to indigenous people, claiming that Chevron does not want to recognise the indigenous or poor people’s right to justice in the same respect they would of those in First World countries. Martinez-Aller (2001) states that Environmental racism can be deemed a useful language for conflicts to assert indigenous territorial rights. Chevron may not have intentionally tried to affect the lives of the Ecuadorians, yet to state the obvious would be to deem them racist. Jacques, K. (2012). 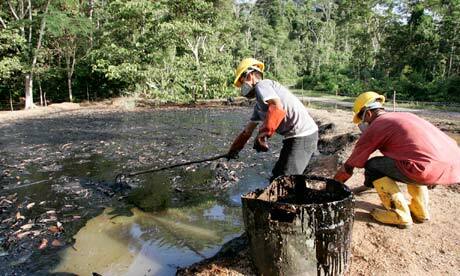 Environmental Justice Case Study: Texaco’s oil production in the Ecuadorian Rainforest. Available: http://www.umich.edu/~snre492/Jones/texaco.htm . Last accessed 18.02.12. Texaco. (2012). Plaintiffs, Myths, Distortions and Fabrications.Available: http://www.texaco.com/sitelets/ecuador/en/PlaintiffsMyths.aspx. Last accessed 23.02.12. Are we responsible for the effects of climate change? ‘Climate change’ has recently become a household term in the global north, but very few people stop to actually think about what causes it and the effects it really has. There has been much debate over the extent to which human activity has exacerbated the effects of climate change and the rate at which it is occurring. The effects of climate change are broad and dynamic, and have already started being visible throughout the world. If any of these issues are caused or even just partially heightened by human activity, then this brings the issue of environmental justice to the table. How is it fair that the selfish actions of human beings in one area of the world negatively affect the lives of innocent people living in another? Take, for instance, the northern hemisphere heat wave in summer 2010. Temperatures were at an outstanding high, which impacted the environment and the societies within it on a number of scales. In Russia, the heat wave of 2010 was the worst in 1,000 years of recorded history and had a “substantial impact on that year’s wheat harvest, leading to economic losses of more than $15bn”. Although this happened in 2010, there has since been much discussion over whether it was a result of anthropogenic climate change or simply a natural occurrence. In a recent article from the guardian, however, it has been claimed that this specific heat wave was “made three times more likely because of man-made climate change”. This means that the greenhouse gas producing behaviour of people (generally in the global north) significantly increased the chance of this phenomenon, which in turn destroyed people’s livelihoods and incomes. The injustice here lies in the fact that individual families who are reliant on certain sources of revenue are suffering because of a problem that their country has a whole managed to ignorantly create. What is even worse than this is when countries who have played a very minimal role in the contribution to climate change are the ones who are suffering the most as a whole. Developing countries are arguably the ones affected the most by anthropogenic climate change but also the ones who have contributed to it the least. Most greenhouse gases which are released spread out into the whole atmosphere, thus having an effect on more countries than just the one which emitted them. This creates an unjust system whereby the globe as a whole is paying for the mistakes of a few selfish countries. A high percentage of developing countries depend heavily upon revenue from agricultural work and it has been said that “a further increase in temperatures will make many agricultural areas less productive—and some completely unsuitable for farming”. So when the populations of those countries are stuck in the middle of a threatening heat wave, where the majority of their crops are ruined, how are they expected to earn a living to allow them to grow economically? Developing countries are struggling to gain a stronger place in the global market as it is, so the threat of climate change affecting their main source of income is a serious one. The most shameful part of this story is that developed countries are continuing to behave in an environmentally destructive way, despite knowing the affect it has on other countries, families and individuals in the world. It is true that not all climate change is caused by human activity as much of it is actually natural. But when there are suggestions to say that our behaviour can increase or decrease the risk of it significantly, I encourage you to help to try and stop this injustice. Think of those families in developing countries who are struggling to yield a crop whilst you casually disregard ‘climate change’ as an ‘out-there’ concept with little real meaning or value. Picture – http://severe-wx.pbworks.com/w/page/15957981/Droughts%20and%20Heat%20Waves. Last accessed 24th February 2012. Jha, A. (2012) Climate Change increased likelihood of Russian 2010 heatwave – study. Available:http://www.guardian.co.uk/environment/2012/feb/21/climate-change-russian-heatwave. Last accessed 23rd February 2012. McElroy, D. (2010) Russian heatwave kills 5,000 as fires rage out of control. Available:http://www.telegraph.co.uk/news/worldnews/europe/russia/7931206/Russian-heatwave-kills-5000-as-fires-rage-out-of-control.html. Last accessed 23rd February 2012. So what exactly is Environmental Justice? Before I blog about the issues theory and policy surrounding environmental justice that titles this webpage, I want to explain the process I took in defining environmental justice itself and then to examine what scholars had written about the concept/movement. I felt that comprehending environmental justice was of the utmost importance as by understanding it I can apply not only the aspects of Environmental justice underlined by scholars, but my own ideas, to any contemporary examples of environmental conflicts, protests, policies and degradation. Environmental justice has been defined most simply as “Fair access to a clean, healthy environment, regardless of class, race, or income level, or other status” (www.greenbeebuzz.com). However, by breaking the word justice down environmental justice becomes a broader concept that can incorporate issues and policy on different scales. These principles can be applied to many of the issues and policies that surround environmental news. Whether it is applying the principle of fairness to issues of indigenous exploitation in the development of their valued lands or the administration of and conformity to law where global environmental policies are passed. The point that interests me most however, is ‘making full use of one’s ability,’ environmentally this point has implications for whole countries as well as individuals as to whether they are doing themselves justice in protecting the environment. These aspects of justice I will attempt to use throughout all of the blogs I write, using them to explain the justice or injustice in several examples. Scholars have written about Environmental Justice in many ways, but the first thing that stood out for me was the fact that Environmental Justice was a movement, rather than just a concept. The movement began in the United States of America in the 1970’s and was mostly made up of minority groups comprising of people from low socio-economic backgrounds. Mostly the groups looked at tackling precise sources of pollution, always tackling a specific urban problem with the survival of the human residents at the centre of their work. Support of the movement came from redefining the environment to include not only photogenic endangered species or pristine ‘wilderness environments’ but also human health risks associated with industrial pollution. This has made environmental justice a powerful movement as now it includes both ecocentric and anthropocentric positions. This includes not only urban industrial waste issues, but deforestation and habitat destruction, carbon emissions and its associated consequences most importantly in both local and global scales (Arcioni and Mitchell, 2005). With this knowledge of environmental justice my future blogs will be example based attaching the aspects of justice to issues, policies and theories in contemporary environmental news. Using the definitions as a framework, I hope to make the concept and the movement of environmental justice clear to see in a range of different contexts. From injustice to justice – how are geographers impacting the environment?